If you would like to receive a FREE quote from TATE FENCING to supply materials for you to construct your fencing project, gates, pergola, decking project or any other project, please contact our Sales team to discuss your quote. Or you simply fill in the form below and some one will contact you shortly. What type of materials do you require? 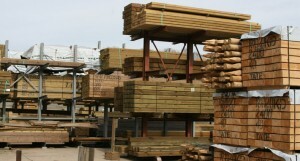 A brief description of your fencing / project. What are the dimensions of your project; height, width, length of fencing run etc? Would you like to receive our Newsletter to receive special offers?